After graduating from Concordia University in St. Paul, Minnesota, Brant Rohwer began his career as a parochial jr. high teacher at a small church in the Twin Cities. He built the first interactive classroom, on a limited budget. After 7 incredible years, God called him into a new industry of production. For the next decade he traveled the world as a Live Event Producer with a large corporate event-focused company in Minneapolis. That position lead him to Tennessee, where he began attending Grace Chapel. 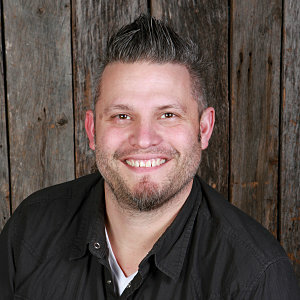 Soon after the move to Nashville, Brant was called again into ministry with Grace Chapel. Some of Brant’s technical experience includes Technical Producer for large and small scale live events, stage manage, technical director, event tech and video production for live TV and video projects. Brant’s position and goals as Director of Production & Technology are to equip and manage the incredible tech team to aid and facilitate with all the ministries of Grace Chapel. Brant has been married to his wife Kimberley for over 14 years and they enjoy their three teenage children together.